FELISCRATCH is the only clinically-proven, naturally-derived and drug-free solution that prevents and stops destructive scratching in the home by redirecting your cat to her scratching post. 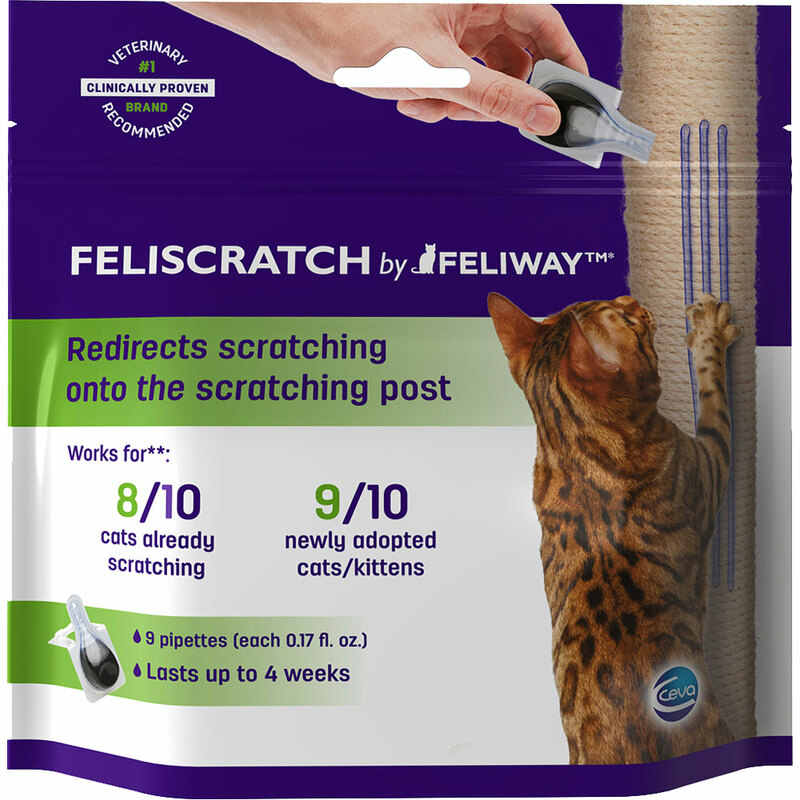 FELISCRATCH by FELIWAY sends “territory messages” to cats and directs them to scratch where the product is applied. 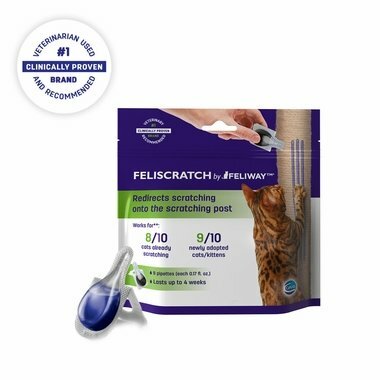 By mimicking the natural feline territorial messages, FELISCRATCH by FELIWAY is a simple answer to your cat’s destructive scratching in the home. FELISCRATCH by FELIWAY comes with 9 easy-to-use pipettes. To avoid potential spillage on fabrics, furniture or carpets, lay your scratching post over a sink or on a newspaper as a precaution. Slowly apply the liquid product by drawing 2 or 3 vertical lines on the post. 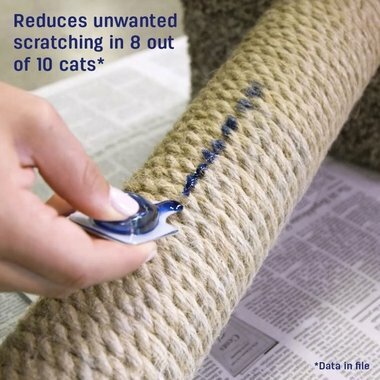 The blue collorant offers that visual cue to provide a long range attractant for the cat to investigate the scratching post and then promote the detection of the “territory messages”. Clinically proven to reduce unwanted scratching in 8 out of 10 cats. Drug-free solution that helps reduce or stop unwanted scratching and redirect cats to their scratching post. Simply apply pippette liquid on the scratching post where you want to re-direct your cats scratching behavior. What is Feliway? Feliway is the UK’s leading cat behaviour product scientifically proven to help stop and prevent unwanted behaviours in cats. How do I know if my cat is stressed? When cats become stressed they can start behaving strangely or acting inappropriately. Examples are urine marking, vertical scratching or intercat tension. However cats won’t always exhibit these extreme behaviours to show they are upset, they may appear to be withdrawn, nervous and easily startled or demanding attention. They may also groom themselves excessively or get into conflict with people, cats and other pets in the household. Upset cats may avoid social interaction, hide or can even go off their food. How can Feliway help? When a cat feels safe in its environment, it will rub its head against furniture, walls or the bottom of the curtains, leaving substances called facial pheromones. 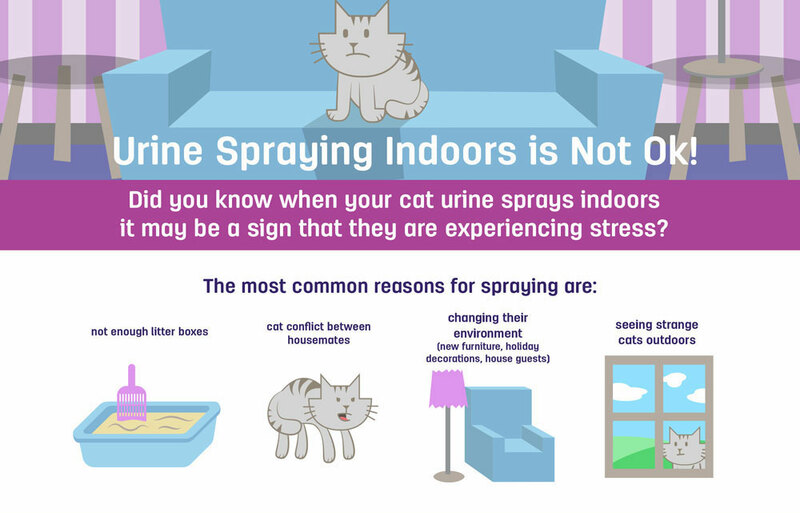 Feliway is a synthetic copy of this pheromone and is proven to reassure and comfort cats, helping them to cope with changes in their environment. Developed after years of veterinary research, Feliway is scientifically proven to help stop unwanted behaviour in cats.